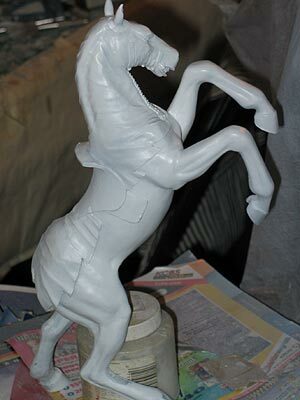 Mucho sanding and priming later, the horse is sort of ready for painting. But I wanted to do more test fitting with its cape first. The instructions said put the cape pieces in hot water and bend to shape. I think they’re just too thick for that, so I’m thinking of dremeling the edge so that it conforms to the contour of the horse as much as possible, and thin the rest so that I can at least bend those unconforming areas. 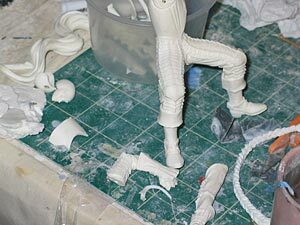 Working on Griffith as well. There were some nasty seam lines running along the very detailed scales on his armor. This is when I started to look into the bits for answers. The diamond coated cone was my solution. The other various shaped stones were also very helpful in helping me level off the cape pieces, which have pretty rough casting with loads of flash. 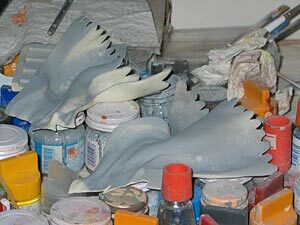 Right now I have a bit of an issue with the leather I’m going to use with the kit. 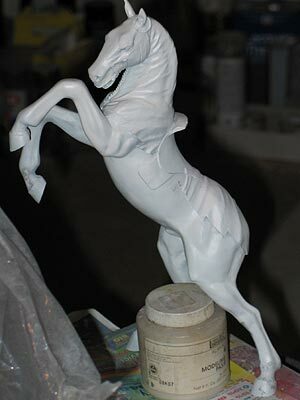 All the straps used on the horse are to be made with leather or imitations. The kit comes with a piece, but I found it too thick! Probably have to go to Jo-Ann’s this weekend to find some alternatives. I bought some leather online a while back from a shop called Rio Rondel which specializes in miniature horse stuff, but the scrap leather I bought from them were also too thick. I’ve been studying that white stallion, and I feel like it’s a real shame to cover up all those well sculpted muscles with that cloth 🙂 He would look great without it, I think. It makes the kit look more dynamic since one can see his legs flailing. How big are these horses? They look huge in the picture. It stands around 15 inches tall I think. I totally agree with Sophie about the cloth, though I must stress that the kit / pose / composition looks indefenetly more regal with the cloth intact. 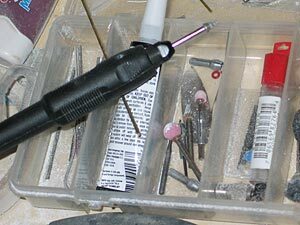 Hence; retooling or resculpting would be preferable from my point of view (as the one that comes with the kit indeed looks a bit life less / rough).